The New Art Gallery Walsall is delighted to present an extended display of works by one of the most exciting, challenging and influential artists of our time, Damien Hirst. The exhibition is presented as part of ARTIST ROOMS On Tour and takes place across the Garman Ryan Galleries. The exhibition provides a unique opportunity to view key works by Hirst and to consider some of the themes of his work, such as life, death, faith and belief, in connection with a wide range of works from The Garman Ryan Collection. ARTIST ROOMS On Tour is an inspired partnership with the Art Fund – the fundraising charity for works of art, making the ARTIST ROOMS collection of international contemporary art available to galleries throughout the UK. ARTIST ROOMS is jointly owned by Tate and National Galleries of Scotland and was established through The d’Offay Donation in 2008, with the assistance of the National Heritage Memorial Fund, the Art Fund and the Scottish and British Governments. 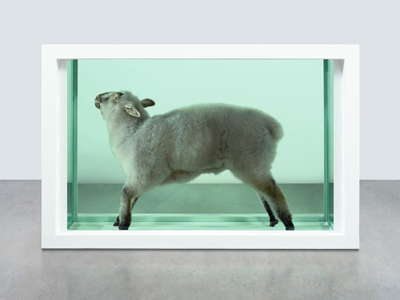 Damien Hirst exhibition is supported by: ARTIST ROOMS On Tour with the Art Fund, Tate, National Galleries of Scotland.